OK OK OK the Pacific is loaded with hurricanes and tropical storms that might be headed here. Juli got the call that she and the Dolphin can be med-vac’d if needed. But James says that the Big Island has not had a hurricane or a typhoon, at least not in recorded history, so please do not call or text us at 4am Friday to let us know about it. If things get too squirrelly the sirens will be going all night anyway! The air is crisp, the sky blue, with nary a cloud. The sun is about to peek out from over to top of the volcano where we live. We are awake. We are getting ready by starting work early, finishing overdue roofing projects and picking fruit and coffee as fast as we can. James is here. School is closed. There is a holiday atmosphere. Were it not for dire weather reports, it would appear that we are going to have an absolutely perfectly wonderful day. Status update: All is calm. All is bright. We are all very, very tired from working our butts off yesterday. The farm is in much better shape. As to the weather, we got a quarter inch of rain very early this morning. Now we are having soft breezes and the sun and the sky are peeping out through the clouds. Thanks for all of your good thoughts and prayers. They worked! P.S. Our dearly beloved Juli –who survived 17 hurricanes in Floridaland before moving here has been laughing her you-know-what-off, although she too, is tired. Her friends and family kept calling and texting all last night. P.P.S. We are still waiting on Tropical Storm Julio, which is supposed to pass just north of us Sunday. 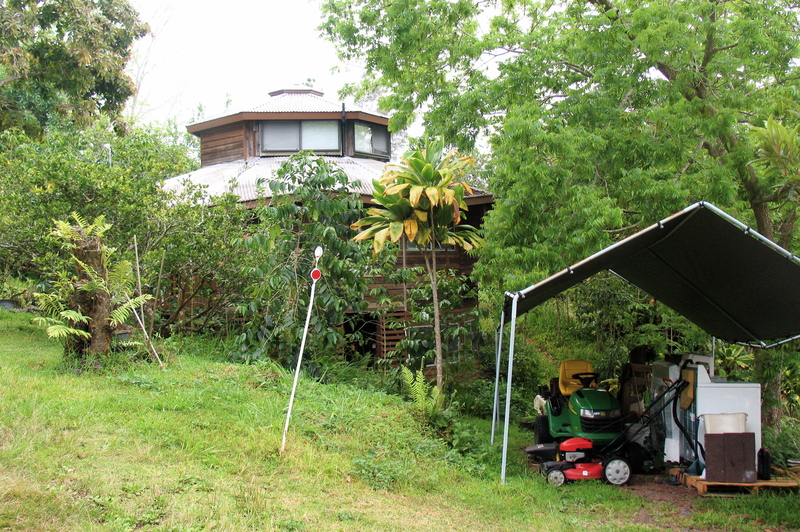 That being said, the ‘eye’ of Iselle passed eight miles from our farm at about 5 a.m. –when we were getting that quarter inch of rain. It was great talking to you yesterday.